Our fourth day in the camp, and we start to be known a bit… We get a hug on our arrival from a Utopia volunteer and a big smile from the guys who mapped with us yesterday. Today we brought not only our five gps-devices, but also equipment to get the mapping really started! We installed our table and chairs and most importantly, the router connected with a solar panel which will provide us with internet connection (thanks Bibliothèques sans Frontières!). While Johan and Blake were setting up our little mapping headquarter, Katja and Jorieke started already to explain to curious refugees what we are doing: make them making a map of their own living environment! Thanks to work of Jo and Blake the day before, we could print today also our first field papers. With help of the plan made by MSF for the initial construction of the camp, we were able to add the footprints of the shelters and buildings on OpenStreetMap which we subsequently printed in full color with the printer donated to the project by Jo. 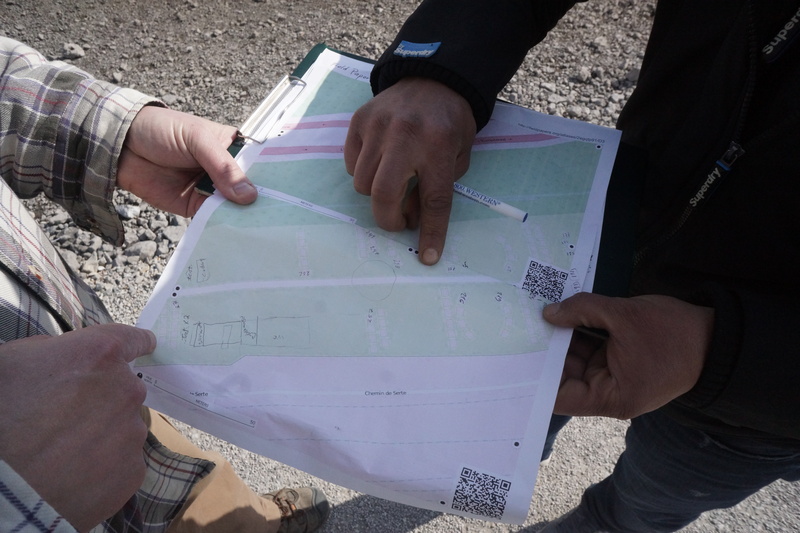 Once on site, we started to learn some interested refugees how to map the camp with help of the field papers. It was amazing how fast they learned! “In the north of the camp, you see the highway, and in the South you see the train. 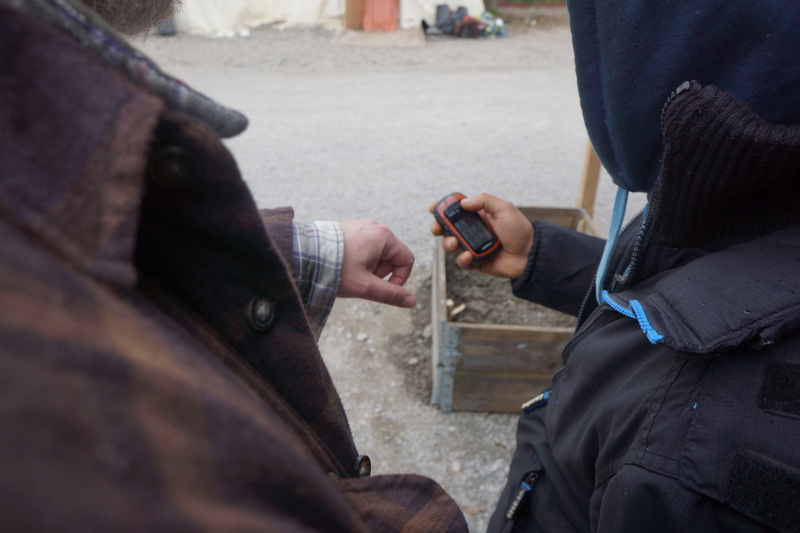 Then at the entrance you see the charging center, you know, that place where you go to charge the battery of your phone when it died.” Those are clear reference points for the refugees which consequently were mapped out the first. 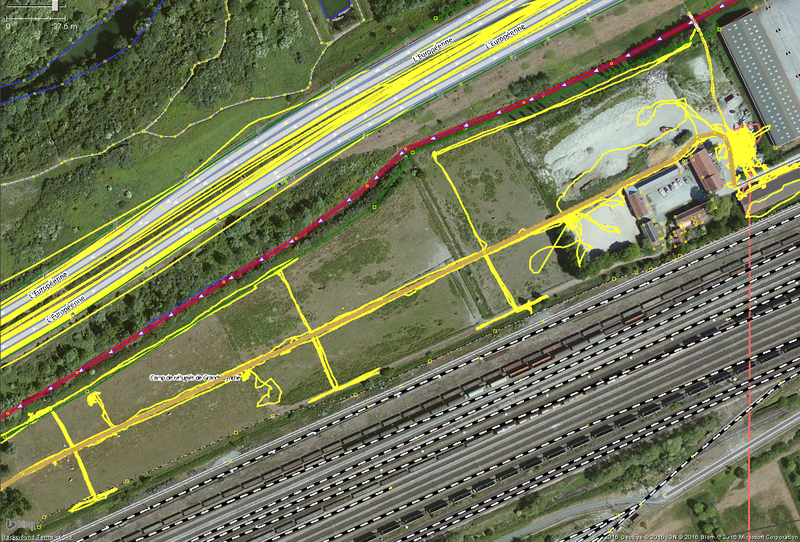 It was a day of running around with gps’s and field papers. We as externals got to know again a bit better the camp, but also the residents learned more about their actual living environment, especially the new arrivals. About 10 new persons arrive every day. For them a map of the camp could be a real asset; to find the adult school, the entrance to the doctors, the mothers and children center, etc. 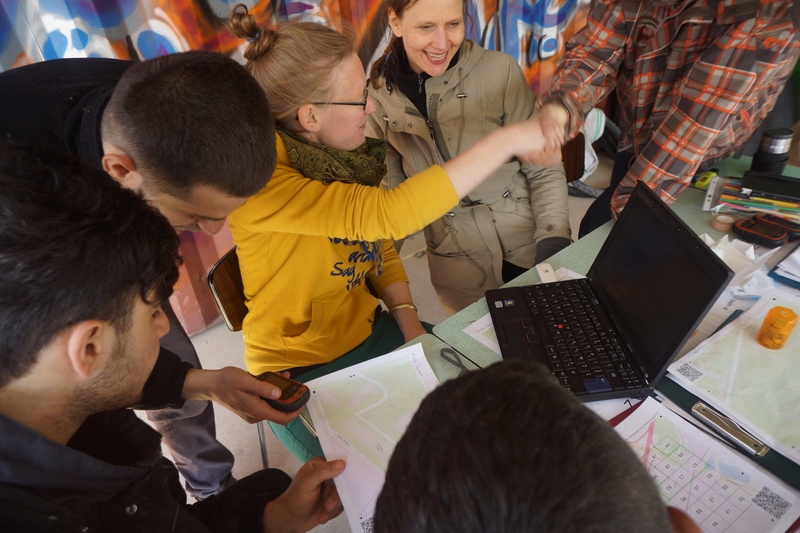 With three refugee mappers continuously at our side, the setup of our little mapping corner and curious residents all around us, we could say this day was a success!